There are many different ailments than can affect your pet’s skin. Whether it’s a topical problem, like a hot spot or rash, or something more in-depth like an infection, the symptoms can be unpleasant. You don’t want to see your pal suffer like that, and neither do we! That’s why Lainer Animal Hospital offers professional pet allergy and dermatology services as part of our comprehensive system of care. We want to help get your loved one as healthy on the outside as on the inside. The first step toward helping your pet feel better again is identifying the precise condition he or she is experiencing. Our state-of-the-art hospital is outfitted with an in-house laboratory, which allows us to run a number of diagnostic tests quickly and efficiently. We may be able to tell what’s wrong just by examining your pet, or we may need to investigate further. Blood work, skin scrapings and biopsies help us get the answers we need to move forward with a cure. If we determine your pet has an allergy, this will require a little more work to manage. Once we understand what’s causing his or her reactions, we will work toward a solution that will eliminate outbreaks as much as possible. Some allergies can be managed through lifestyle changes, such as switching food products. Others may require a longer-term strategy. 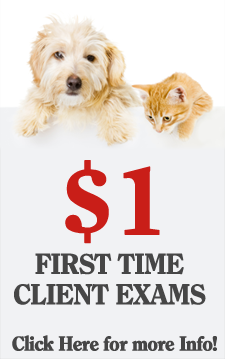 Our recommendations will be based on your pet’s specific needs. If you notice any of these signs or symptoms, it’s time to schedule an appointment. Give the experienced team at Lainer Animal Hospital a call. We can help your loved one live a more comfortable life.